Submitted photo Entrance to the Wright Cycle Co., South Williams St. in Dayton. XENIA — At the next meeting of the Greene County Ohio Historical Society, 74 West Church St., the guest speaker will be Ryan Qualls, National Park Service ranger for the Dayton Aviation Heritage National Historical Park. The meeting begins at 7 p.m. Monday, Nov. 1 and is free to the public. Ranger Qualls will discuss the importance of Huffman Prairie Flying Field in the saga of the Wright Brothers’ invention of powered flight; this location lies within Greene County and is where the Wrights perfected their craft, as well as conducting the world’s first flight school. Everyone is invited to attend; light refreshments are served. For more information about the Greene County Ohio Historical Society or its programs contact them at 937-372-4606 or gchsxo@yahoo.com. 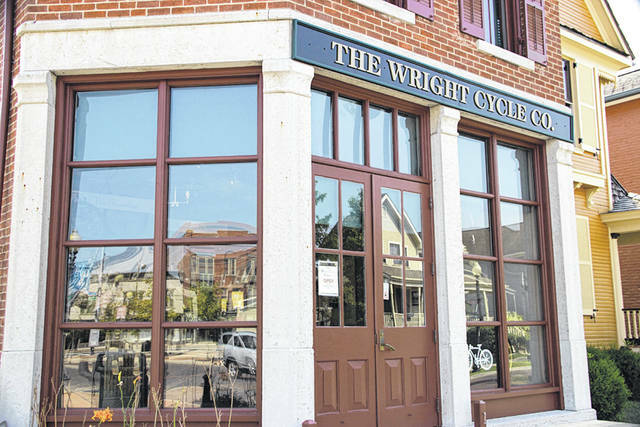 https://www.xeniagazette.com/wp-content/uploads/sites/32/2018/11/web1_WrightCycle.jpgSubmitted photo Entrance to the Wright Cycle Co., South Williams St. in Dayton.